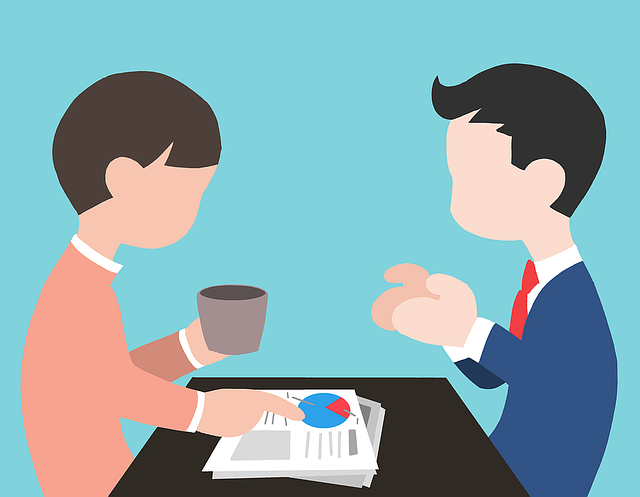 Is your GPA impacting your job search? Looking for work? Need to hire? We are here to answer your most pressing questions and share our experience recruiting superstars for some of the best companies! 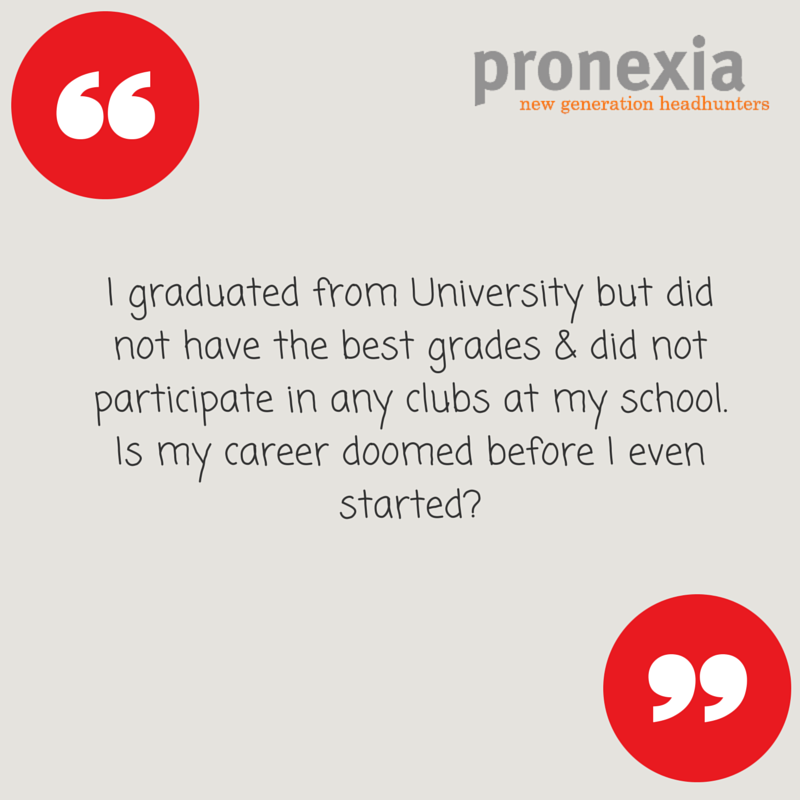 At Pronexia, we are Headhunters of the new generation and this post is part of our new Q&A series. When I went to mentor last year students at my Alma Mater, I got this question a lot. Frankly, I am not surprised as I had the same concern and self-doubt plaguing my mind when I was nearing graduation. To be honest with you, University was a struggle for me, a recent immigrant at the time. It was especially challenging considering that I had been an across-the-board A+ student all throughout my academic life in Ukraine, my home country. When I joined McGill, I did not realize that majoring in marketing would bring on difficulties far beyond the language barrier. “Which car is synonymous with safety?” – the professor would ask. A sea of hands would go up while I remained clueless. “There isn’t a person in the world who is not familiar with the Golden Arches logo” – he proclaimed. Yet, there was one – right in the front row of his class. Except I kept mum about it. Can’t say that the Business faculty undergrad students at McGill were strangers to acting as mild bullies. All throughout university, we were reminded of the importance of keeping our grades up and holding “executive roles” (replace quotation with a chuckle) within the various University clubs. I got nowhere with the latter, as the president of one of such clubs turned me down because I worked part-time (she clearly didn’t have bills to pay) and hence would not prioritize club work. Needless to say, I felt pretty discouraged and doomed. 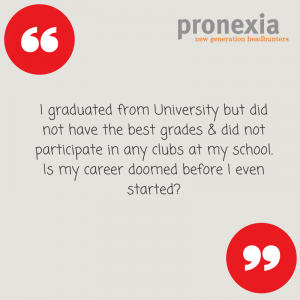 Fast forward a decade, my career turned out better than my wildest dreams and I now run a headhunting firm called Pronexia. Our head office is in Montreal and we just opened our 2nd office in Vancouver, so check us out! 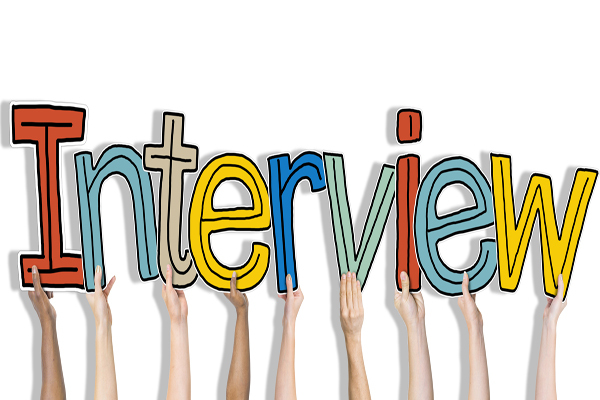 Having interviewed thousands of job seekers for hundreds of very different positions, I have kept track of the number of times hiring managers requested to see an applicant’s transcript or GPA. Do you want to take a shot and guess the number? Umm, zero. Yep, you read that right – a grand total of zero. Turns out that most hiring managers – with the exception of some consulting firms but even that is now changing – couldn’t care less about grades and transcripts. Needless to say, executive management experience at a school club doesn’t really matter either. What hiring managers do care about though are your work experience during your studies (are you a hustler? ), your personality (are you a fit with their culture?) and whether or not your degree is actually completed (for some roles). So, dear University students, rejoice! Put premium on work experience alongside academics and don’t break a sweat on the account of your grades. Looking for more advice? Include your questions below and I will be happy to include them in the series.